As part of our initial efforts to grow our user base and determine market acceptance, we launched our first aspirational “Island Fever” campaign in 2017 with over 400 curated activities across 10 key destinations in South East Asia featuring videos, story-telling and key online influencers social media sharing. The WEGOGO App validated the demand for such travel experiences, many of these truly localized and authentic experiences by small local travel service providers were not featured on larger and more established OTAs (Online Travel Agents) such as Ctrip, Tuniu and AliTrip. In 2018, the “Island Fever” campaign will be expanded to cover 25 island-based destinations and over 3,000 exciting and authentic experiences. By 2020, our goal is to attain over 125 island destinations, and 16,000 activities for bookings. We will continue to first serve outbound Chinese travellers – the largest Asian travel market - to grow its traction and scale, focusing on local & authentic South East Asia destinations as its core, and then leveraging that local knowledge and presence to serve South East Asian travellers – the world’s fastest online travel growth market. 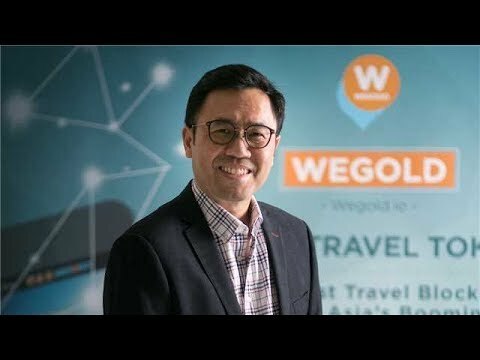 WeGold is an ICO active for more than a year. But they have no time to pass the kyc or verify the team accounts. A good team with good experience in travel industry, also great advisor team. The business model is what the travel industry is in need. With good support I think this would be a potential project to look out for. - Launch of PathFinders Program. - Implement blockchain Incentive and Rewards System. - Build out fully decentralised secured Travel Blockchain Platform, including Micro-Finance Program.